Dermal fillers are designed to help counteract the effects of aging on your skin. As you age, your skin changes. Over time, your natural volume of youthful skin begins to diminish as wrinkles and folds form, while the production of collagen begins to break down. At Bella Aesthetica MedSpa & Wellness Center, our experienced providers are experts in the use of dermal fillers to improve your overall appearance and make you look younger, healthier and more vibrant. We specialize in two of the most popular and effective dermal fillers available today. RADIESSE® wrinkle filler instantly corrects facial wrinkles to give you a natural, younger look that lasts. 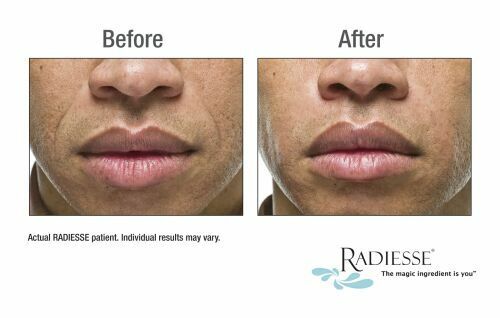 Once injected, RADIESSE® — a biocompatible, non-toxic, non-allergenic dermal filler – works with your body to stimulate your own natural collagen production. 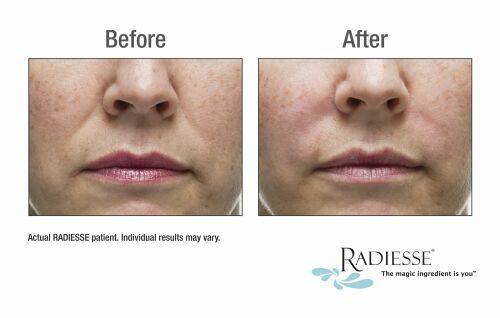 RADIESSE® can dramatically reduce wrinkles and folds around the nose and mouth. The result is a natural, more youthful look that lasts a year or more for many clients. If that sounds like magic, that’s because it is. The magic ingredient is you. JUVEDERM® is available in two formulations to allow your provider to tailor a treatment to your unique needs. JUVERDERM® Ultra provides versatility in contouring and adding volume to facial wrinkles and folds. JUVEDERM® Ultra Plus is a more robust formulation for correcting deeper, more developed wrinkles and folds. The first and only FDA-approved filler to correct age-related volume loss in the midface. With optimal treatment, natural-looking results last up to 2 years. JUVÉDERM VOLUMA™ XC injectable gel is a smooth, colorless hyaluronic acid gel that contains a small quantity of local anesthetic (lidocaine). Hyaluronic Acid is a naturally occurring sugar found in the human body. The role of Hyaluronic Acid in the skin is to deliver nutrients and help the skin retain its natural moisture and softness. The addition of lidocaine helps to improve the comfort of the injection. JUVÉDERM VOLUMA™ XC injectable gel is manufactured using VYCROSS™ technology to give a specialized smooth-gel filler that produces long-lasting results at the treatment site. JUVÉDERM VOLUMA™ XC is delivered by an injection into the cheek and surrounding area of the mid-face to correct volume and fullness.